Additional workshops will be offered in the future. The Manitoba Association of Plant Biologists has worked to nominate the Marble Ridge alvar as a protected area. The site is one of the few alvars known west of Ontario and supports at least three noteworthy plant species. Alvars consist of naturally open habitat with sparse, prairie-like vegetation growing on a limestone or dolostone plain, with either a thin covering of soil or no soil. Alvars are generally uncommon world-wide, and are rare in Canada. The site is located between Fisher Branch and Hodgson, on the south side of Hwy 325, one mile west of Hwy 17. Three botanical species of interest include: Gastony’s Cliffbrake (Pellaea gastonyi) rated as “Very Rare” (S1) provincially and “Rare-uncommon” (N2N3) nationally and globally is the only known site for this species in Manitoba, Western Dwarf Cliffbrake (Pellaea glabella subsp. occidentalis) ranked as “Rare” (S2) both provincially and nationally (N2), and Prairie Spikemoss (Selaginella densa) at the northeast limit of its range in Manitoba. Three field trips have been planned for the summer of 2011 in order to conduct a more broad botanical inventory of the Marble Ridge site. The Manitoba Association of Plant Biologists has established an endowment fund at the University of Manitoba to support graduate students in plant biology. The Manitoba Scholarship and Bursary Initiative has made a contribution to this fund. From time to time (allowing the interest from the fund to accumulate to a level sufficient to support an award, as decided by the selection committee), the available annual income shall be used to provide fellowships and bursaries whose frequency, number and value, will be determined by the selection committee. Consider making a donation through the Office of Private Funding, 179 Continuing Education Complex, Univ. of Manitoba, Winnipeg, R3T 2N2. Remember it is the professional faculties that receive all the big donations and the basic sciences lag far behind in support for student awards. 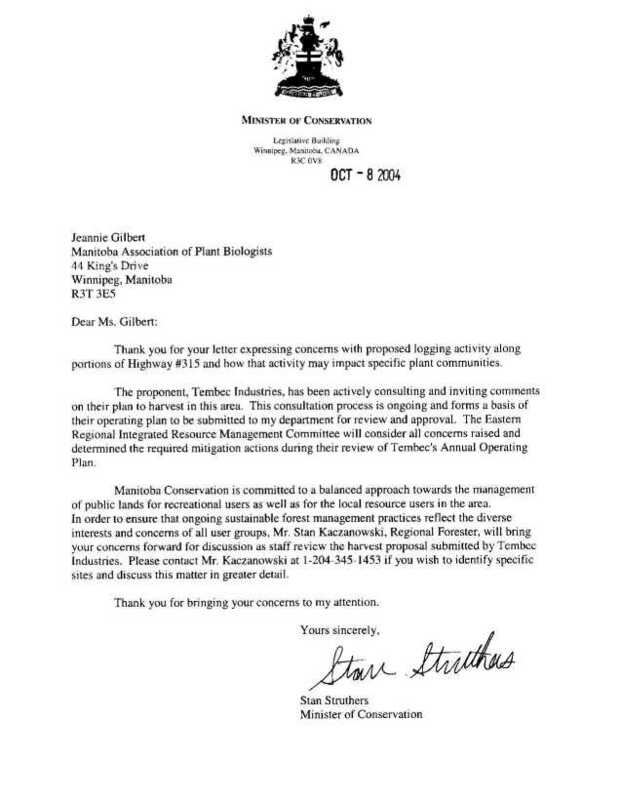 MAPB struck a committee in 2007 to examine the feasibility of mapping plant distributions in Manitoba. Richard Staniforth posed the idea at our spring meeting, and there has been discussion at several meetings since. A similar type of project was completed in the UK in the 50's and recently revisited; the data resulting from such mapping projects is useful in many ways to scientists, consultants and government departments. The project in the UK had the benefit of having to cover a smaller, more accessible land area in a country with many trained naturalists. Members of MAPB are currently exploring the scope and logistics such a project in Manitoba.